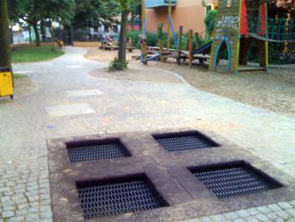 When we make a playground, we are often indicating that play is not welcome or able to happen elsewhere. But this notion of a singular place for play is simply not how children explore or learn. By centralizing our activities to such a degree, it is unsurprising that we have created landscapes of isolation and boredom, in which we have "lost" children to television and video games. What if our streets, sidewalks, and cities actually resembled video games? Let’s face it, many of you would consider me quite out of my mind if I were to suggest that we turn our cities into big playgrounds by installing outdoor stair-climbing machines, slides, rock-climbing boulders, and in-ground trampolines at our bus stops, on our sidewalks, and in the unused spaces of our overly wide streets. In short, all I’m suggesting we do is actually create an urban landscape that actually mimics how we played as children, making outdoor adventure, play, and exercise easy and alluring. Perhaps one of my favorite things that I saw in Berlin last summer was a trampoline that had been built into a sidewalk in Kreuzberg. Made out of segments of recycled tire, it was incredibly durable and safe, offering a moment of joy and adventure to anyone who chose to take the challenge. It represented an incredibly simple step that any community might take toward transforming their city into a continuous landscape of play and adventure. Berlin isn’t the only place we can look to for examples. Copy the Malaysians and Chinese by placing random exercise equipment along sidewalks and at bus stops. Mimic the city of Roubaix in France, narrowing roads to create small areas of easily accessible play or adventure on every street. 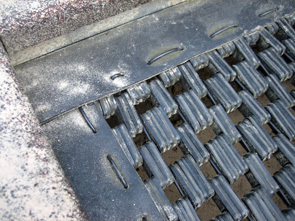 Follow Japan’s lead, varying sections of sidewalk surface treatment to improve our joint strength and balance. Or why not incorporate slides into outdoor staircases? We can foster a new culture of use by linking these individual insertions of play and exercise as a part of a citywide play-and-adventure circuit, mimicking vitaparcours, the exercise trails in Switzerland that are sponsored by health insurance companies. Skeptical that people might not use it? You shouldn’t be. 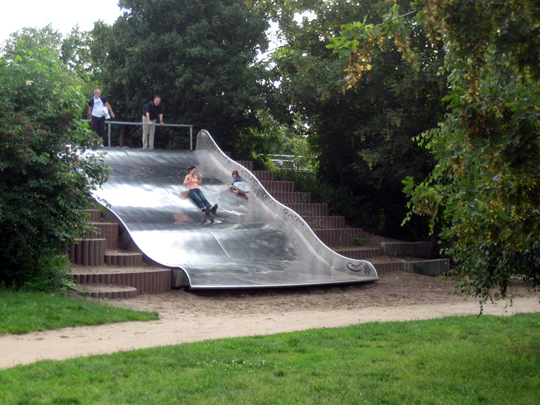 Last summer in Berlin, I routinely saw children and adults clamoring throughout the day to use outdoor elliptical machines, big slides, and see-saw trampolines. However, sometimes creating a new culture of play and exercise requires more than simply providing facilities. People often need a nudge to do something that is unfamiliar, no matter how fun it might be. To this end, we can adapt and take advantage of new technologies, such as the Freikometer, to further change attitudes about play, exercise, and mobility. By recording and then indirectly rewarding children who ride their bikes to school, this device has more than doubled youth bicycle ridership in Boulder, Colorado. Or what about creating a downloadable app for smart phones that geo-locates a user at a particular adventure and automatically records the amount of time spent at that activity? 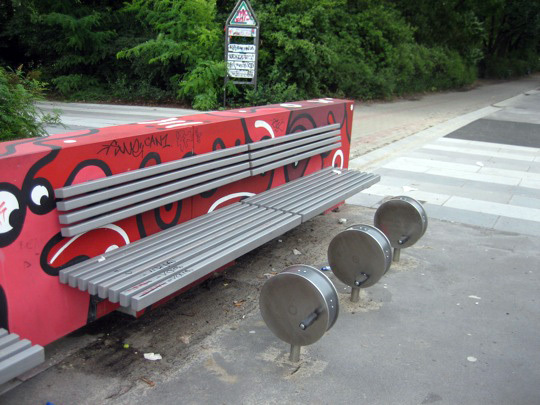 Employing such strategies can not only help people rediscover fun, but can also help them understand that even spending just 10 minutes on a recumbent bicycle bench while waiting at the bus stop has benefits to one’s health. This last point is critical, as this isn’t just about fun and games. The health and well-being of our cities depends on rethinking where play occurs. By creating streetscapes that are more challenging, inspiring, and just plain fun to traverse, we will lure children away from the television, increase our mobility, decrease our community healthcare costs, and create generally healthier cities. Visit Alex's fascinating Public Workshop blog here. First photo courtesy of Kevin Steele (cc). Other photos contributed by Alex Gilliam.